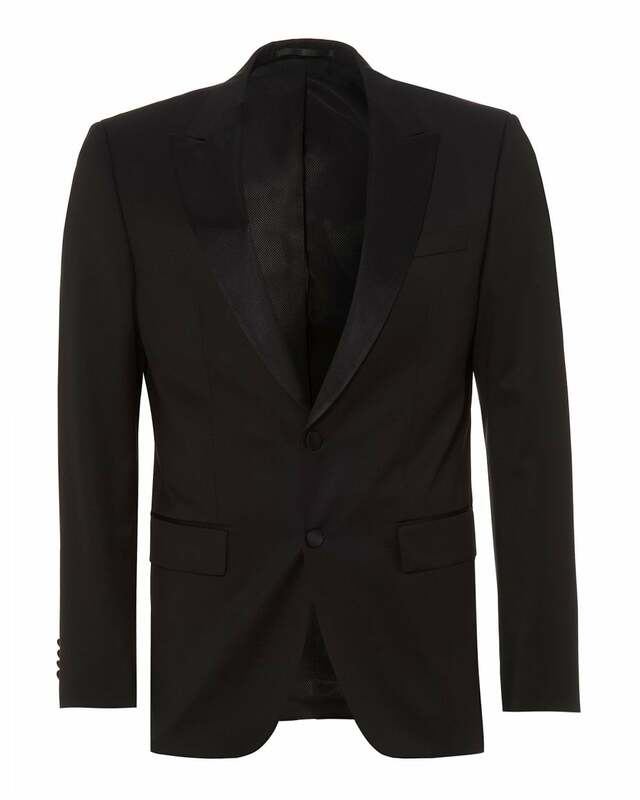 This tuxedo style jacket by BOSS Business is a classic piece and perfect for a special occasion. Featuring a silk trim, two button fastening and multiple pockets. Wear with a crisp white shirt and slim black trousers for a complete look.